Graduating is a rewarding event in a person’s life. It can be overwhelming at the same time gives peace. After that event, a person will finally face a new chapter of his or her life and face reality. Graduates will look for a job and make their own job applications. Looking for a job is not easy. One would look for job vacancies, for application guidelines and tips and ways to get a job. Student application may think it’s easy but it is quite the opposite. Although it is taught at school, applying for jobs are different in the real world. 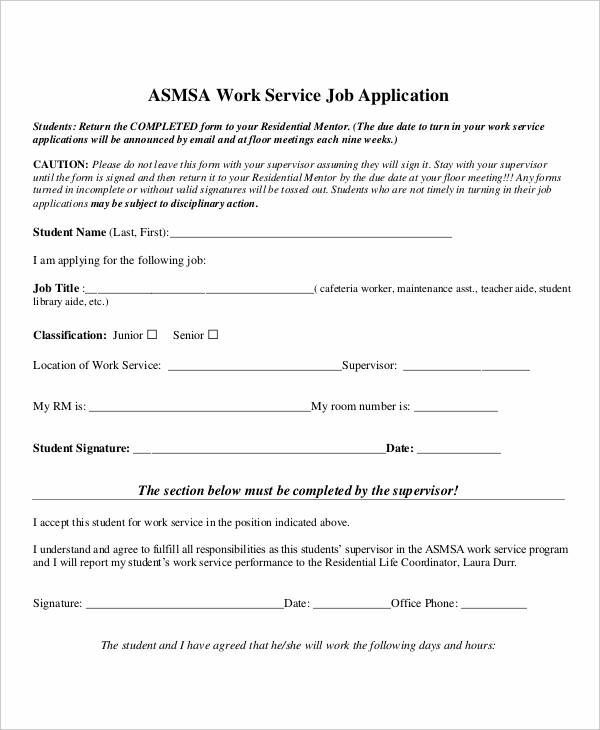 What Is a Work Application? Applying for a job takes a few process just like a lease application. Although they are different, these documents have similarities as to their purpose. 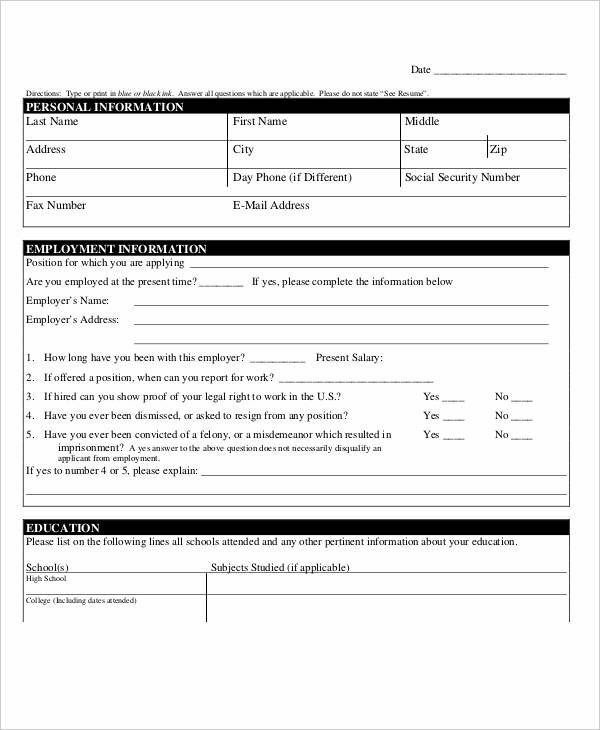 A work application is an official form that an employer would ask applicants to fill out. 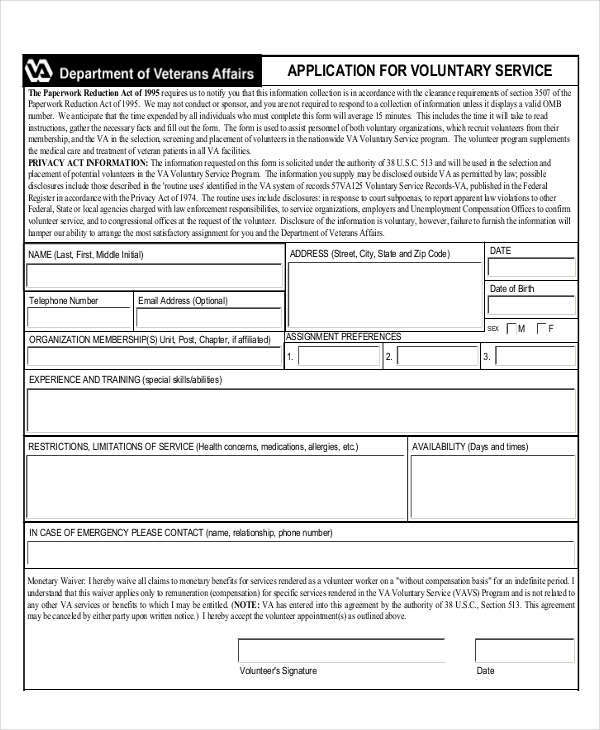 These forms include all information that the employer needs to evaluate the applicant. 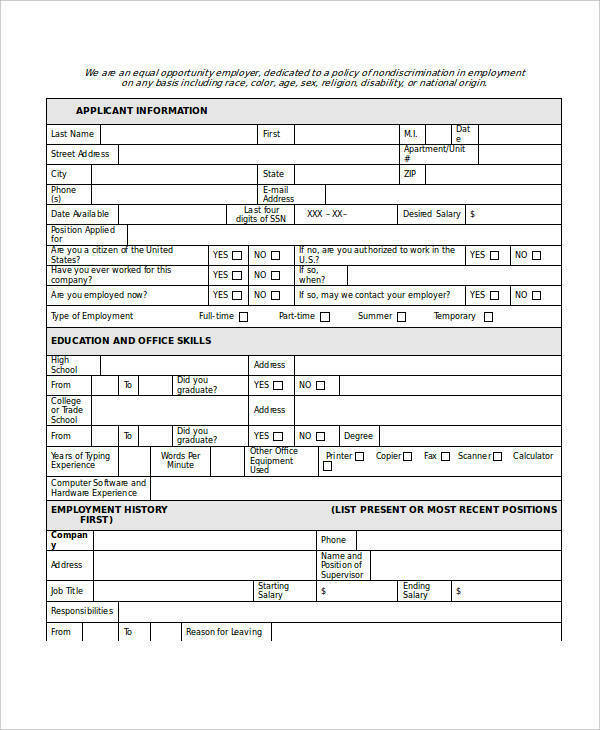 The forms would ask for information such as the name, address, contact details and other personal data, educational backgrounds, work experiences and most importantly the skills and capabilities of the applicant that would qualify him or her for the job position. 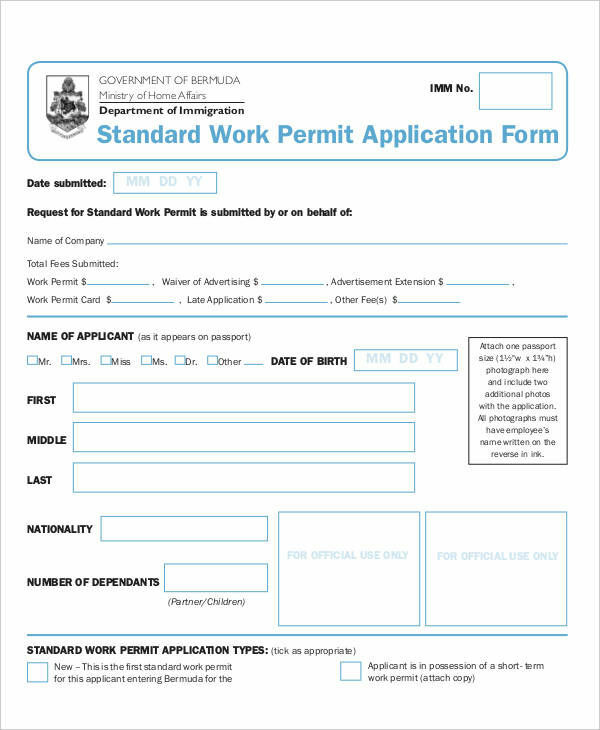 Most companies make their standard application forms so it is more convenient that applicants would just fill out the information that the form is asking. 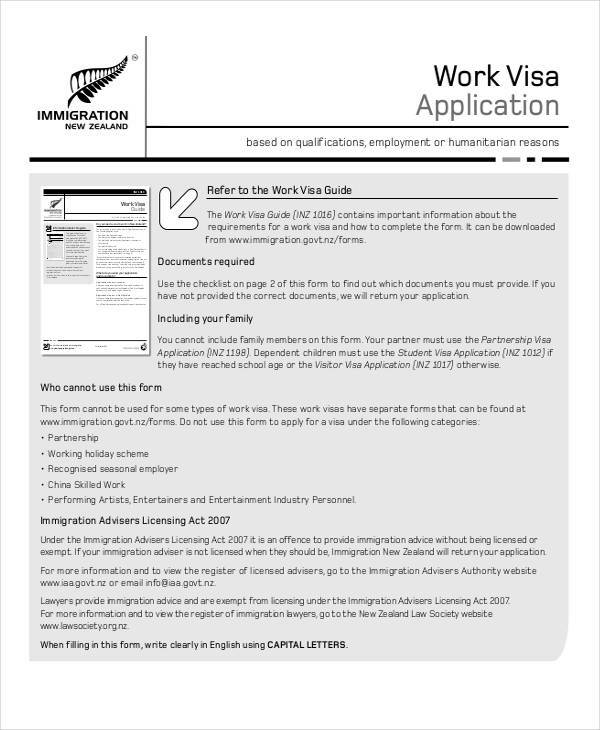 To write a work application example there are important details that employers would need. 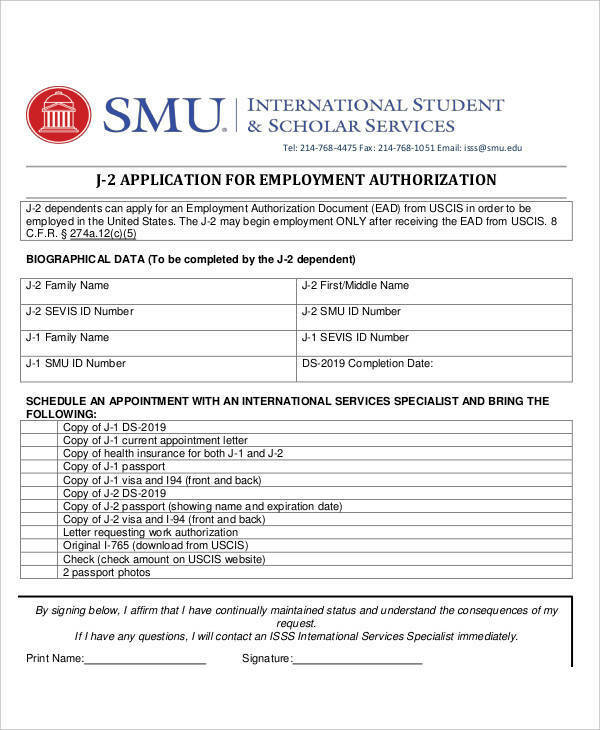 Personal information should be written in the application form including family’s basic information. It is important to list all history of employment as well as your educational background and references. Work experience is one thing employers would take note of because this shows what you are capable of doing and how well you do your job. When looking at an sample application form, information are grouped accordingly. 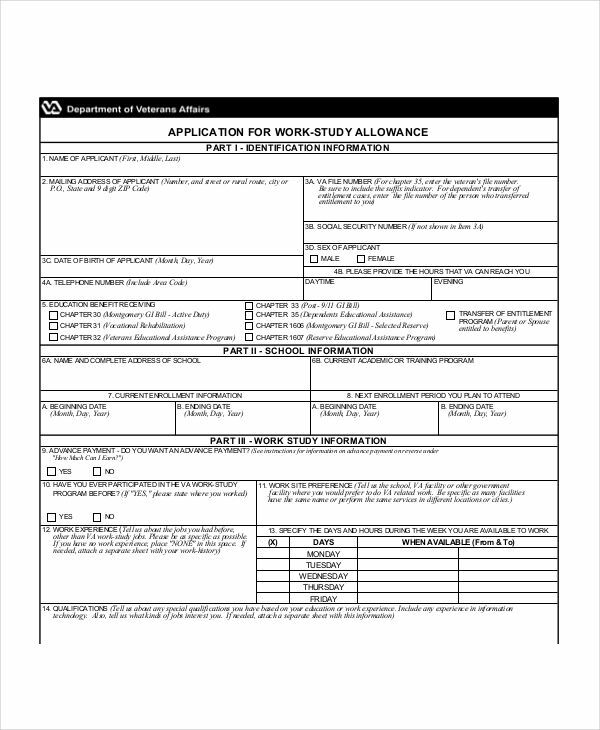 When filling out the work application, keep in mind that the information written is true and complete. 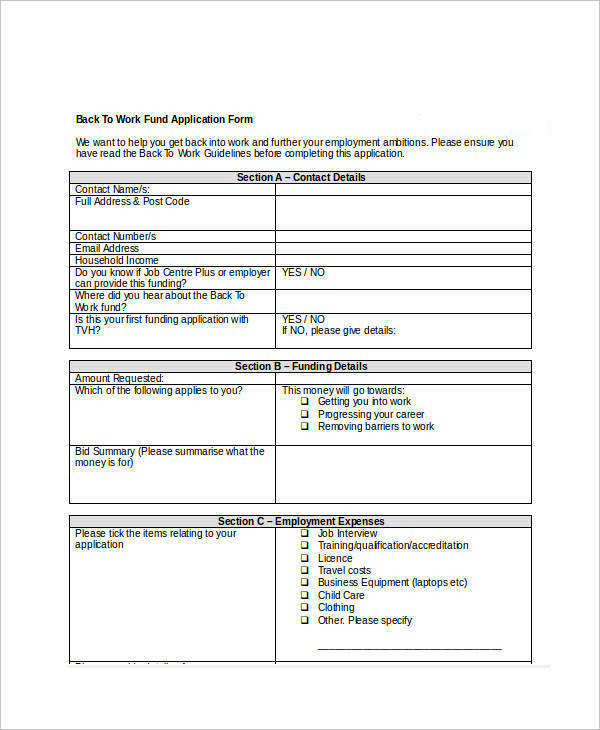 Employers made this form to easily evaluate an applicant so in filling out the form, one must read carefully what information is asked and where to write the answer. Avoid making so many mistakes particularly in fields asking for contact numbers, past work experiences and references. With fields that are not applicable to an applicant, it is better to indicate the word “none” or “N/A”. Being new to applying for a job, it could be very challenging to look for a job, creating your own job application and most importantly, facing an interview Question. So how can one improve the aforementioned? 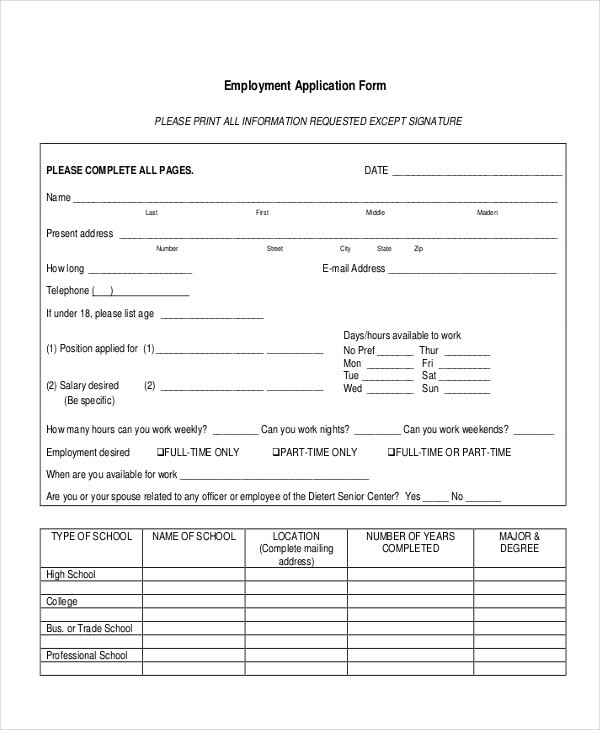 Improving a job application is easy. What you need is to include all the writing skills you have, include all past work experiences and make your application documents look neat and organized. For an interview skill to get better, most people improve after trying multiple times. Preparing yourself with possible interview questions would help you improve this skill.